Arranging and pre-paying for a funeral plan can be a straightforward method of ensuring your loved ones are protected against unexpected costs and the pressure of planning your funeral. A funeral plan enables you to plan for a funeral in advance, as well as pay for it – either as a lump sum or in instalments to the plan provider or your chosen funeral director. This money that you put aside is either invested in a trust fund or an insurance policy, which means that it’s safeguarded until it’s needed. A funeral plan can be set up to pay for your or someone else’s funeral, the only stipulation is that the funeral will be held in the UK. What are the benefits of a funeral plan? 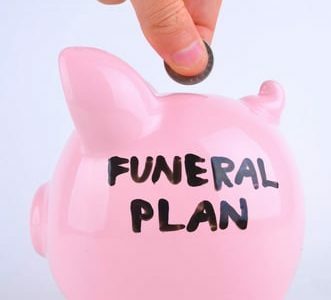 A funeral plan can help you save money as you pay in advance and therefore avoid the risk of you or your loved ones being subject to rising funeral costs. A funeral plan can also provide peace of mind by allowing you to make your wishes clear and removing uncertainty for friends and family after you have passed away. It also protects your loved ones from potential financial strain. Most funeral plans offer a range of options to suit a variety of budgets as well as easy payment options. However, it’s important to weigh up funeral plans to understand what each provider offers and choose the right plan for your needs. To compare funeral plans, you need to understand what different providers offer, and bear in mind that funeral plans usually don’t cover everything that is needed for a funeral. Some only offer a contribution towards external and third-party costs associated with a burial or cremation leaving family members to cover the rest of the bill, other providers guarantee to cover these costs, and some exclude them completely. For example, the burial plot and any costs usually covered by the funeral director – like flowers and catering – are often not included. What are the potential costs not included in the plan? Can you change the details of the plan or cancel the plan if circumstances change? Does the plan allow you to choose a funeral director? What happens if the person named in the funeral plan dies abroad? If you pay by instalments, do you have to pay interest and what happens if there are any outstanding instalments when you pass away?